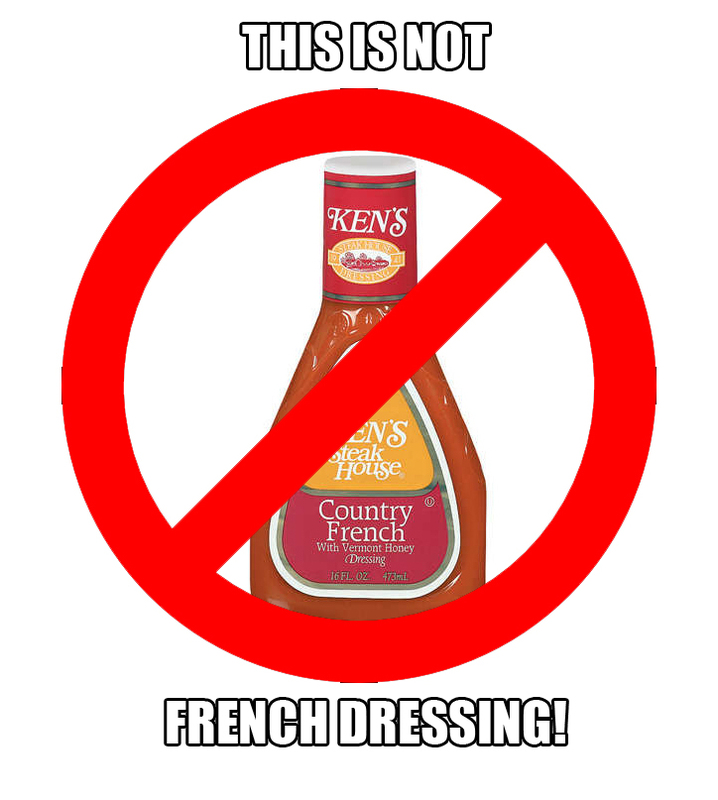 Jared Unzipped: Country French Dressing Is a Lie! It's that people do not seem to understand the difference between French Dressing and Catalina Dressing. Ahhhh... it drives me insane. When I order a salad from a restaurant, I'll always ask what dressings they have. More often than not, they'll claim to have French Dressing, which I prefer over Ranch or Italian. Yet, when I receive my salad, the French Dressing is never actually French; it's Catalina! How in the hell can you not tell the difference? They look different and taste different! I believe the source of the problem is that French Dressing has experienced an identity crisis here in America. 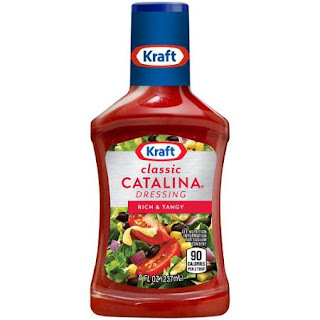 As if Catalina were too difficult to pronounce, it's been rebranded as "Country French" Dressing. 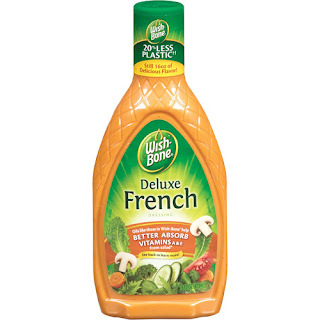 Thereby, genuine French Dressing has taken on the moniker of "Creamy French". What the hell? When you visit a restaurant, most nudniks fail to understand that there are two versions of French (even though there's really only one). Thereby, they accidentally use the Country French Dressing (aka Catalina) thinking it's French Dressing -- which it clearly is not. What you've been eating as Country French is really Catalina. If I ask for French, I don't want Catalina. What is so hard to understand?! Catalina Dressing, or "Country French", tastes like crap. Okay, my salad dressing rant is over. Thanks for listening.